Superdry men's carbon base layer leggings. These leggings are designed for layering underneath the Snow range to provide thermal regulation. The leggings are made with moisture wicking fabric to keep you dry and comfortable. 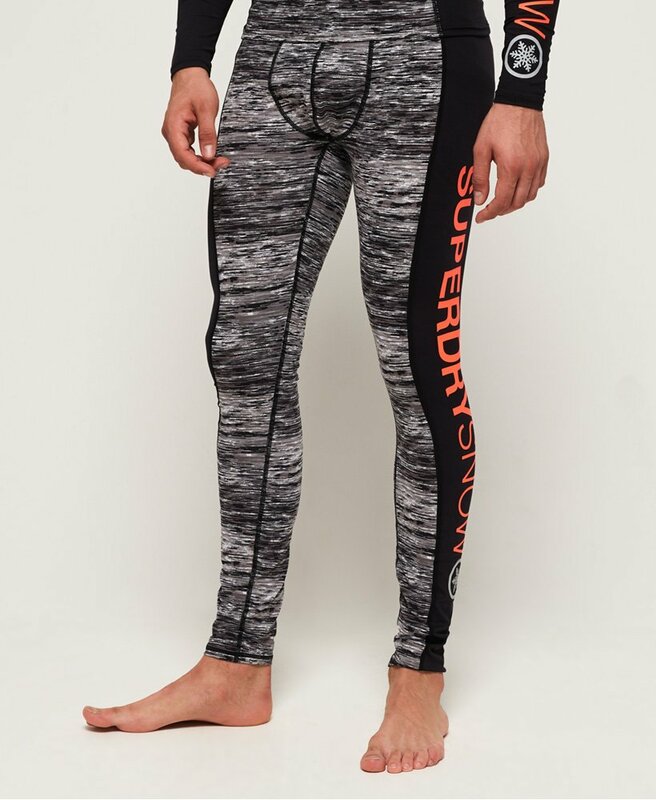 The carbon base layer leggings also feature an elasticated waistband with a Superdry logo across the front, and a Superdry logo down the left leg with reflective detailing.